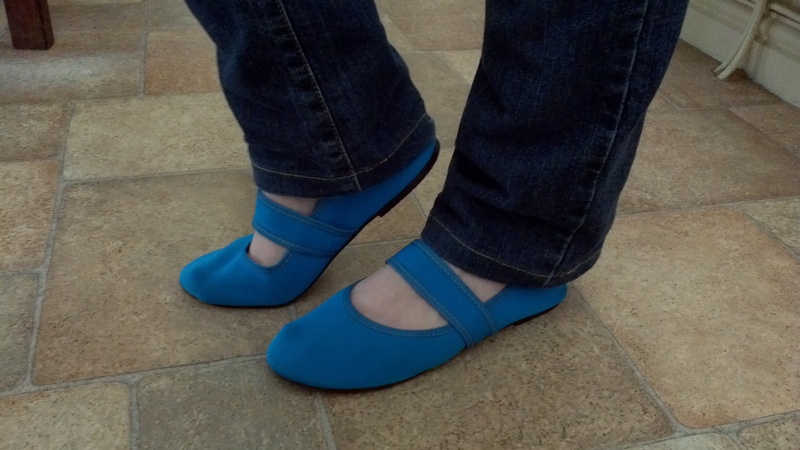 Lately I was reading a lot of glorious reviews about Cheekyshoes all over the internet. As a shoes junky I got a little jealous. I decided to write to Marcin from cheeky shoes in the hope that I will be given the opportunity to try them out as well. To my surprise he said yes. I could pick any shoes I wanted! That’s the way to make girl happy. Cheekyshoes have polyurethane coating insole and lycra laminated neoprene upper. Shoes are priced at £19.99 +pp … not too bad. So I ordered my favourite pair and waited for the Post Man. Few days later a lovely parcel landed on my door step. Wooot my shoes were finally here. I just couldn’t wait to try them on. 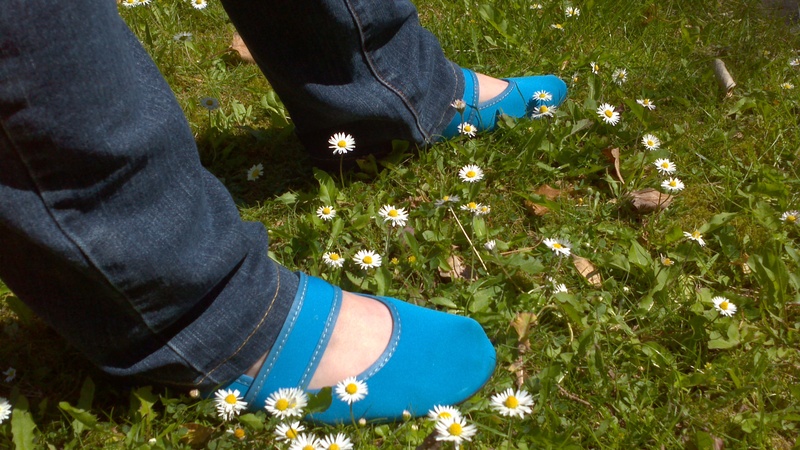 First thing which hits you about Cheekyshoes is their weight – they are so unbelievably light. They are soft and pleasant to the touch; more like slippers, then shoes. When you put them on they blend in with your feet, and after a while you really forget that you are wearing shoes at all. There is no restrictions, they “mould” to the shape of your feet. The strap is extra flexible and doesn’t put any pressure on the bridge of your foot. I was really over the moon with them. At first, I wore them around the house as it was raining outside and they really aren’t shoes for big puddles 🙂 … but within a few days the weather cleared up and I was able to test walk them outside. It really doesn’t matter where you wear them; they still feel the same soft and comfortable. They have very soft sole, which bends easily making walking a pure pleasure. Perfect summer shoes. I just love this colour. 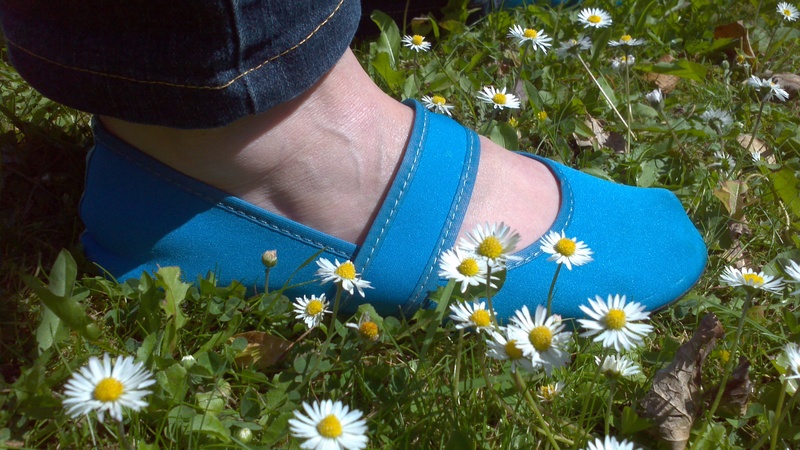 To sum up Cheekyshoes are the perfect summer shoes. Lightweight, soft and fabulous looking! And there will be some new designs coming out soon. Each design will be made in tiny amounts, so make sure you subscribe to cheeky shoes newsletter if you don’t want to miss out! Those actually look cute and comfy! They really are 🙂 Perfect shoes! Not via web for this moment, but if you sent an email to Marcin (look at contact us) he will ship them for you internationally. I would really recommend this shoes. They are fab. Just check sizes very carefully as they are a bit different that normal sizing. The Zesty green is just hot! It makes good mood! Sadly I’m pondering to buy boots – it’s cold outside and uncomfy.